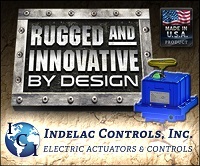 Indelac Controls Inc. (ICI) is an American actuator company serving the world market. ICI offers a wide variety of electric actuator types, including: quarter-turn, multi-turn, spring return, and linear. Other products include pneumatic actuators, control panels, limit switches and battery back-up systems. ICI serves a large array of industries such as pulp and paper, petrochemicals, food and beverage, agriculture, chemical, water and waste water, and power plants. ICI is committed to continual quality improvement of all operating systems, products and services with the ultimate goal of having zero defects and total customer satisfaction. ICI’s products are currently present in all 50 U.S. states and 13 Canadian provinces. Internationally, ICI’s products are used on 6 continents in 30 different countries around the world. 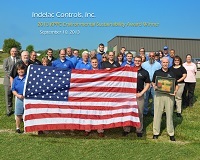 Indelac Controls Inc. is located in Northern Kentucky and has a 15,000 square foot factory.